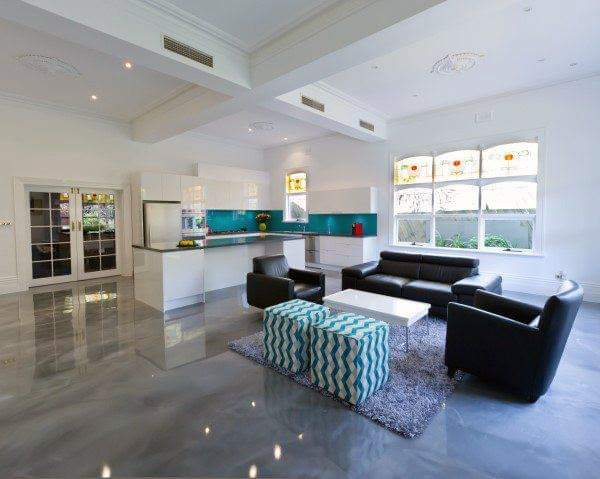 With over 20 years experience in the concrete polishing industry we have all the knowledge, expertise and machinery needed to complete work to total customer satisfaction. We offer a friendly and reliable service with free no obligation quotes to all areas Australia wide. We are fully licensed and insured and guarantee the best service and workmanship. Please send us an inquiry for a quick response with friendly and helpful advice. We analyse the work to Identify and provide advice and a solution to any Building Defects or problems that exist. From the Moment we are invited to assess your requirements we respond we listen and take things Personal. When you do business with us you’re dealing with someone that cares about your job and deliver you high quality at the end.